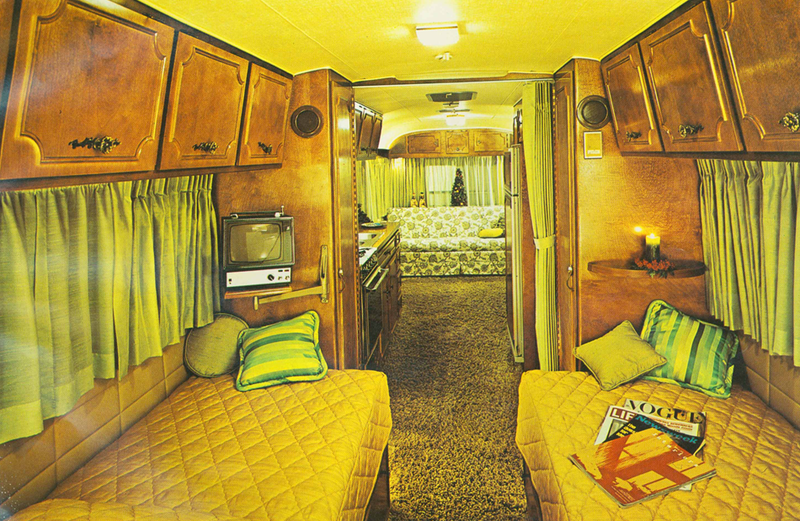 RV’s of the 1970s were things of beauty: thick lustrous burnt-orange shag carpeting, miles of wood paneling, and the gaudiest upholstery the decade had to offer. 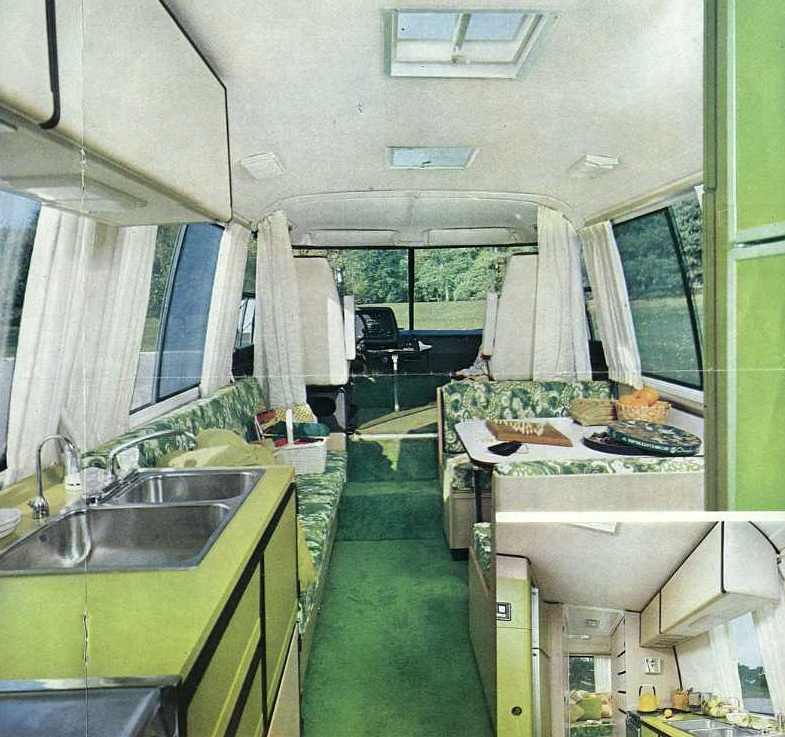 The 70s studs had their muscle cars, the stoners had their full size vans, families had their “metallic pea” colored station wagons… and for a select few – the traveling 1970s groove shacks on wheels – the motor home. Typically, grandma and grandpa owned one. Back when companies paid their employees a living wage and a solid pension, a man could retire and purchase his Retirement Dream Machine. 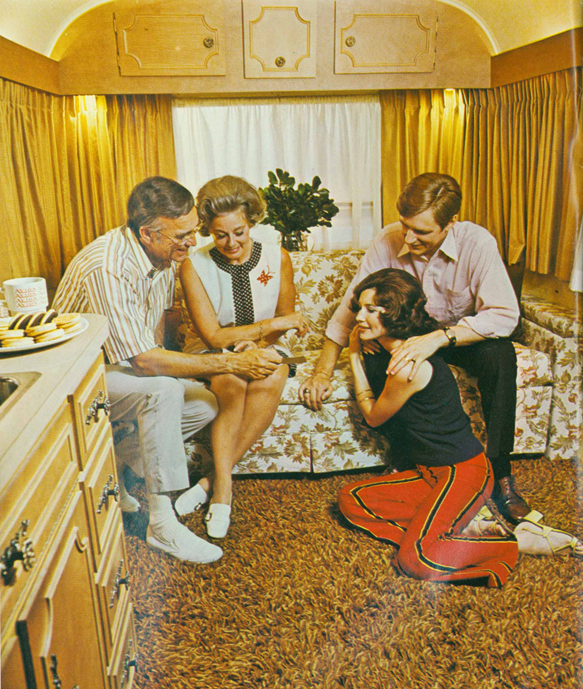 How satisfying for grandpa to wade through the thick carpet of golden shag in his shiny white loafers aboard his brand new Winnebago. 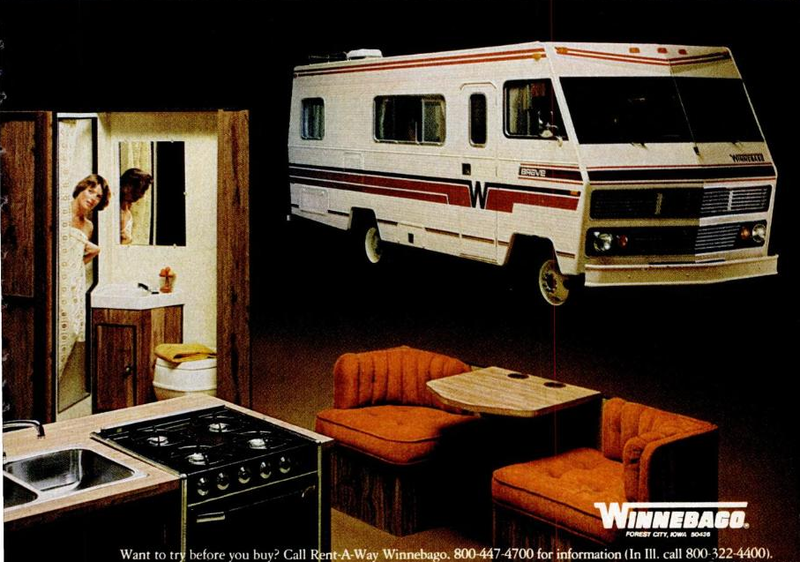 Of course, Winnebago’s weren’t only for grandparents. 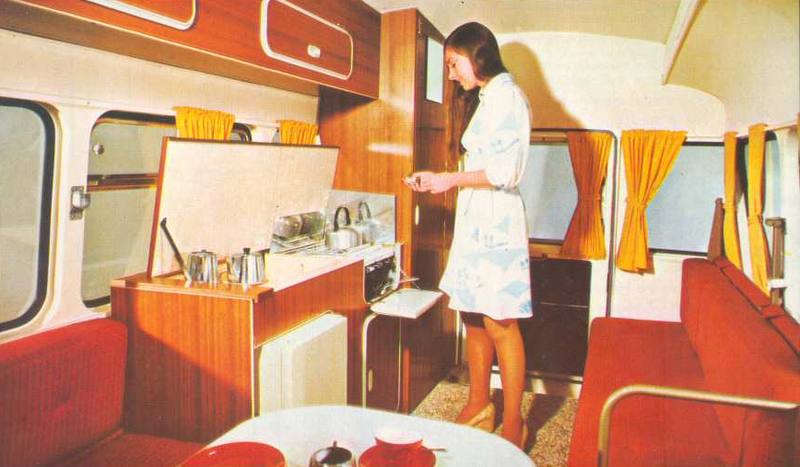 The Baby Boomers had unprecedented levels of disposable income. 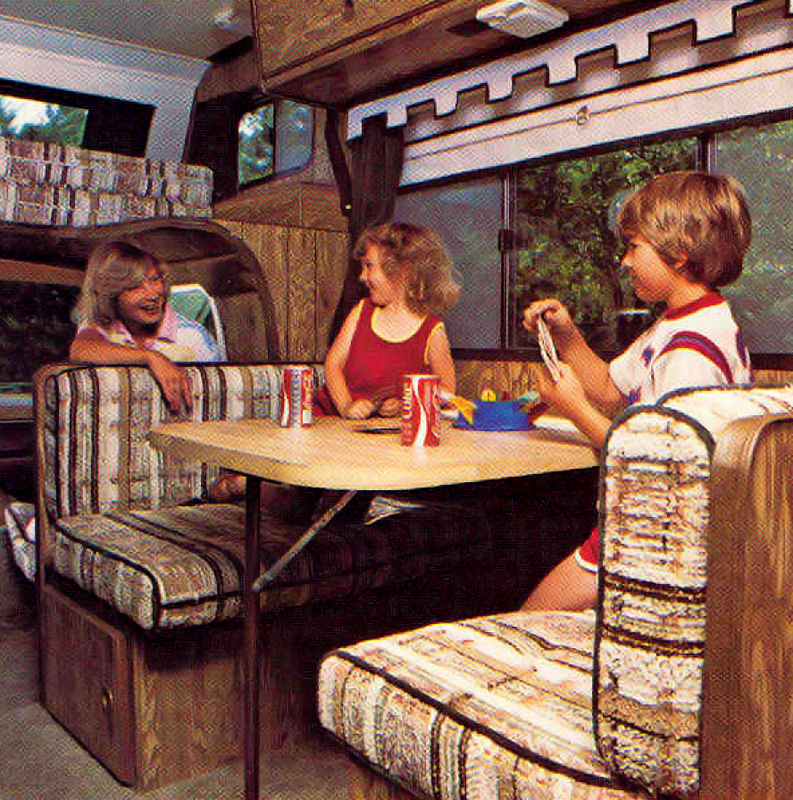 They’d sewn their wild oats after the 60s, and now it was time to start a family, buy an RV, take vacations, go into debt, get a divorce, then sell the RV for half its value. 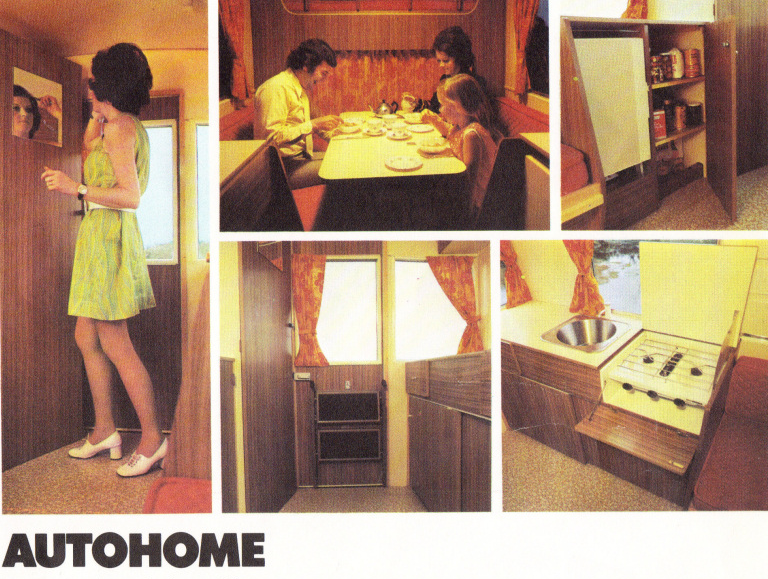 Was their anything more singularly Seventies than the inside of a motor home? 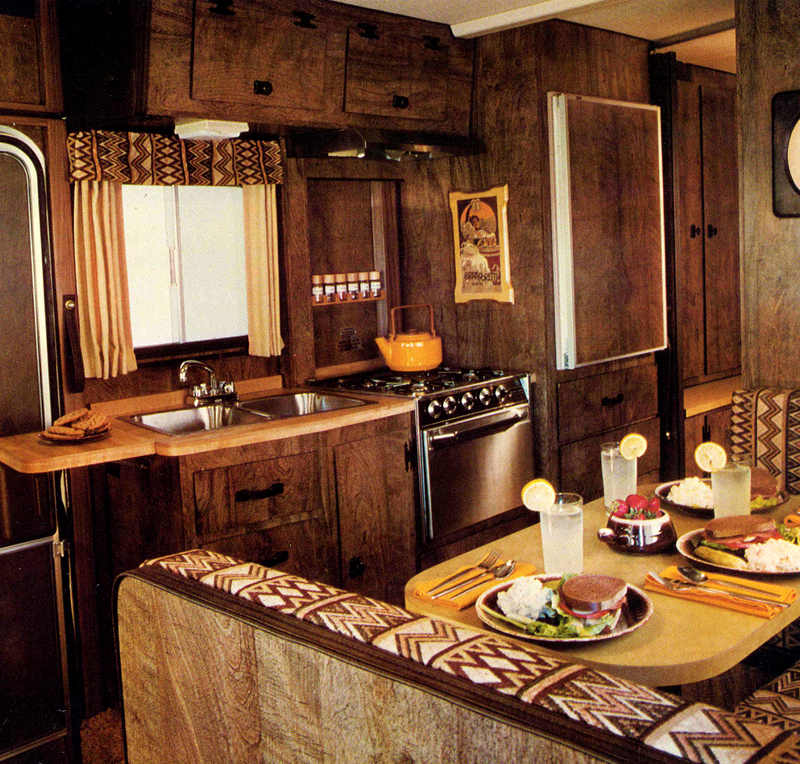 The colors, the style simply scream “1970s”! Ah, yes. 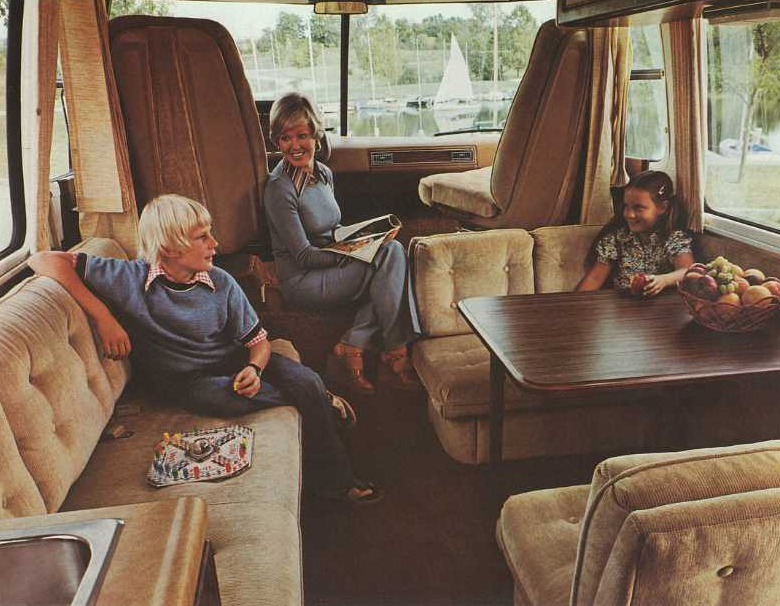 These “autohomes” had plenty of room for mom to primp and for the family to have awkward dinners together. Keep those curtains shut. 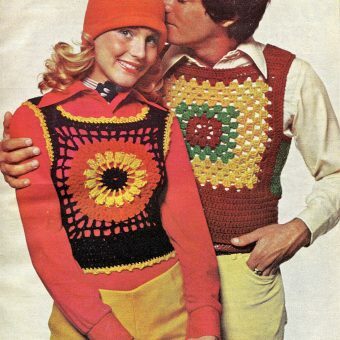 The outside world of the 1970s was a dark and dangerous place. 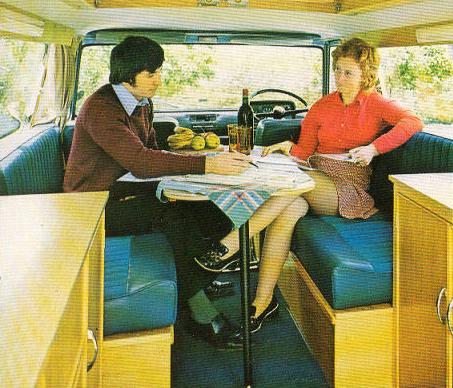 These vehicles came in all sizes – from grandpa’s massive motor home, to the swingin’ couple’s small camper (AKA lovemobile). 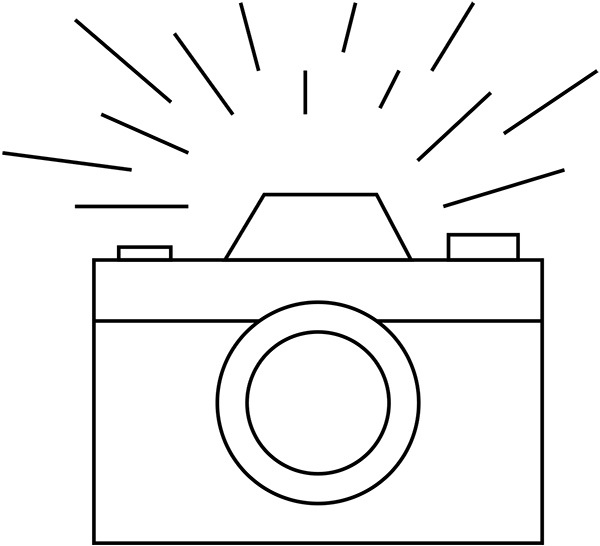 Many of you reading this article were conceived in surroundings like that pictured above. 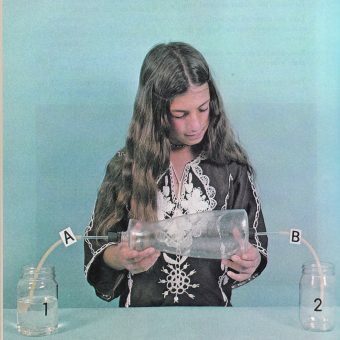 We’ve talked at length on Flashbak about the insane color palette of the 1970s. Let’s stop talking and let the pictures speak for themselves. 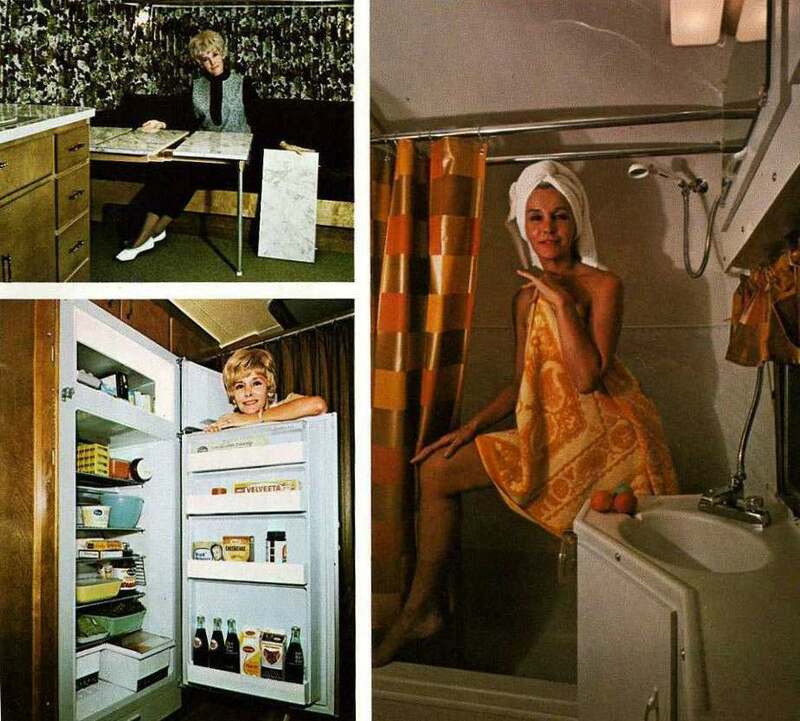 Just because you’re on vacation doesn’t mean the wife can neglect her “womanly duties”. 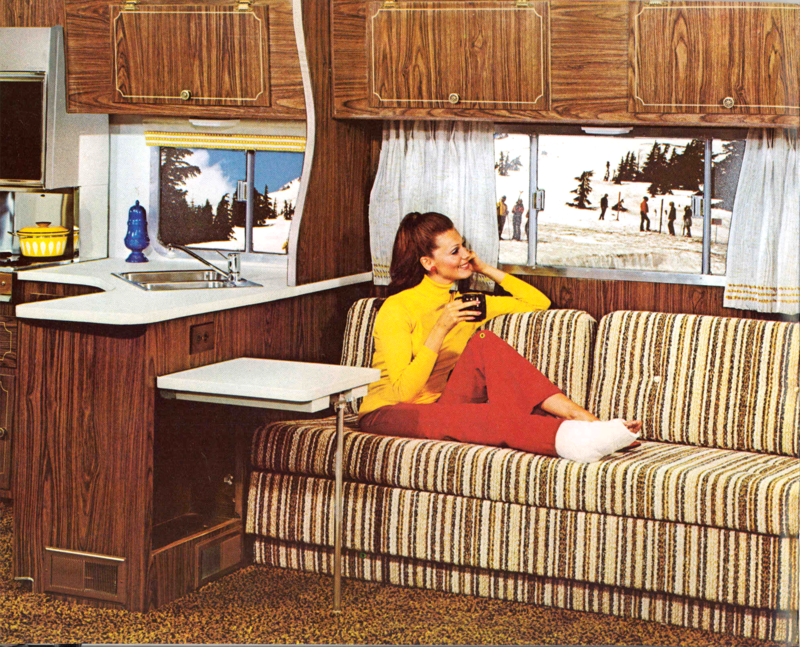 Women’s Lib hadn’t yet penetrated the walls of this motor home. 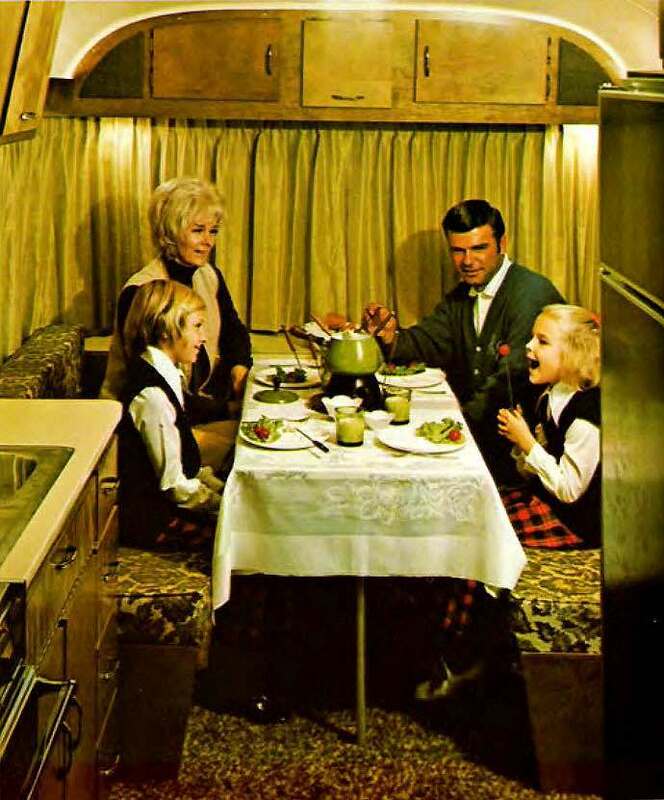 Fondue with the family in your new RV – if someone ever asks you what the American Dream is, just show them this picture. This from 1979- back when Coca-Cola still had pop-tops. 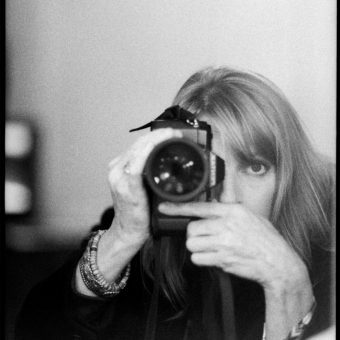 A good time was had by all…. 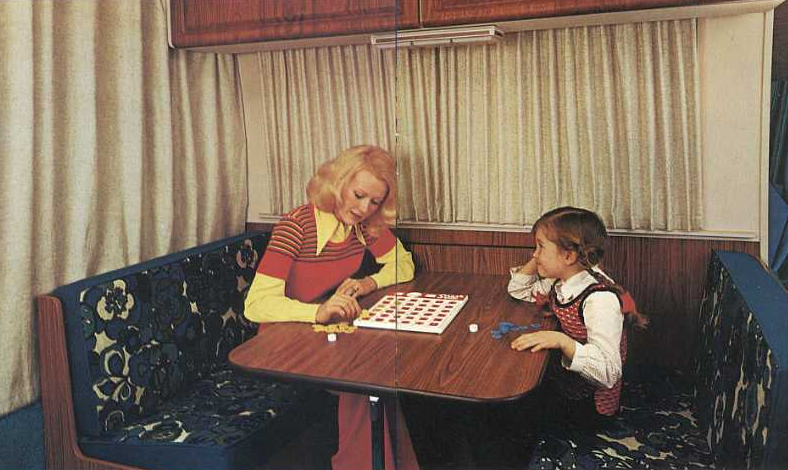 except for the son, who’s playing the loneliest game of Sorry! in history. 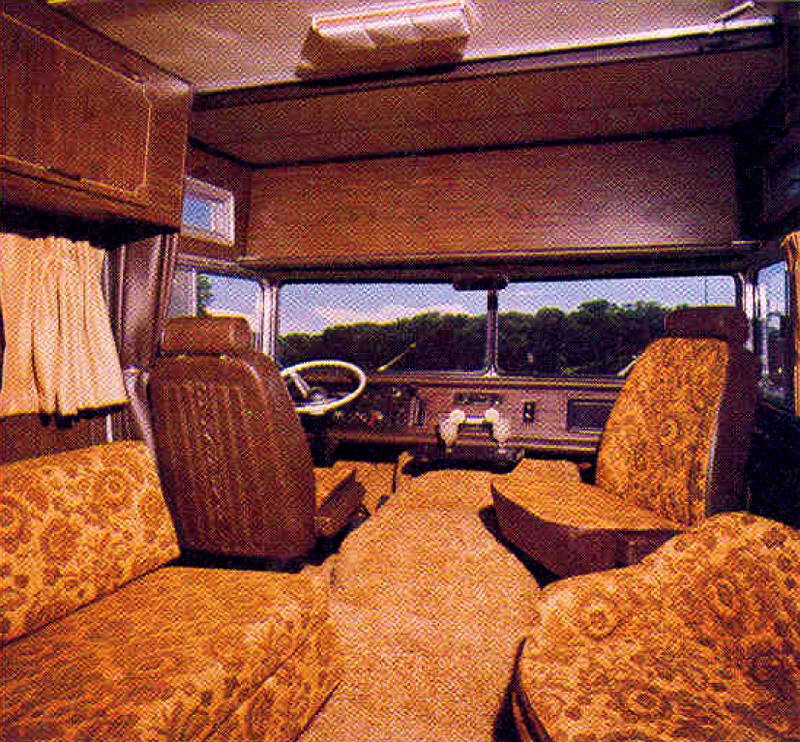 If you own a vintage Winnebago, just know that much loving took place in that vehicle – I’d suggest a professional cleaning. 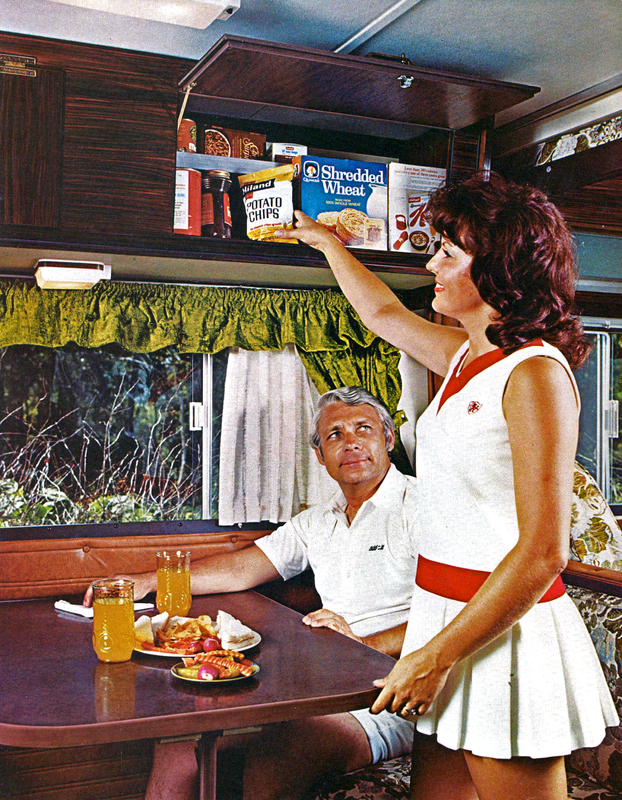 I see RC cola in that fridge, so I’m guessing the Jack Daniels is in the cabinetry above. They also seem to be plenty well stocked on butter and imitation cheese. Those may just be glasses of lemonade on the dashboard…. 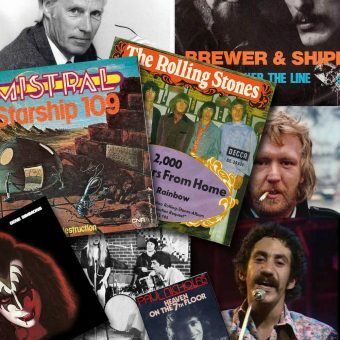 but this was the 70s, so they’re in all likelihood, mixed drinks. 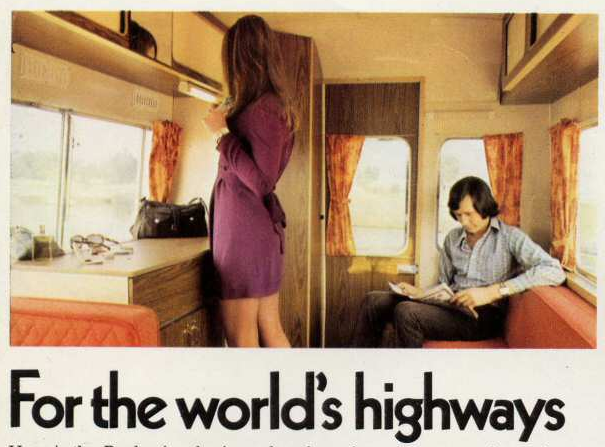 I’m also pretty confident Steely Dan is in the 8-track. Everyone’s out skiing, but she’s stuck inside with a broken ankle. 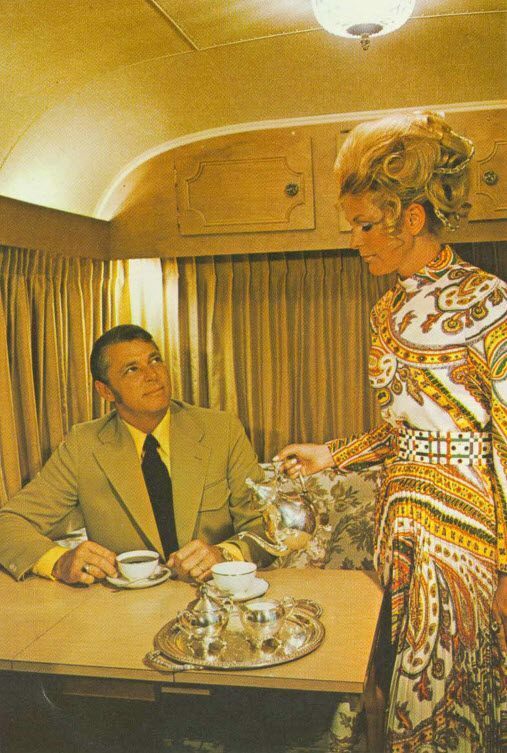 That’s okay, she’s got her Valium and spiked chaser. 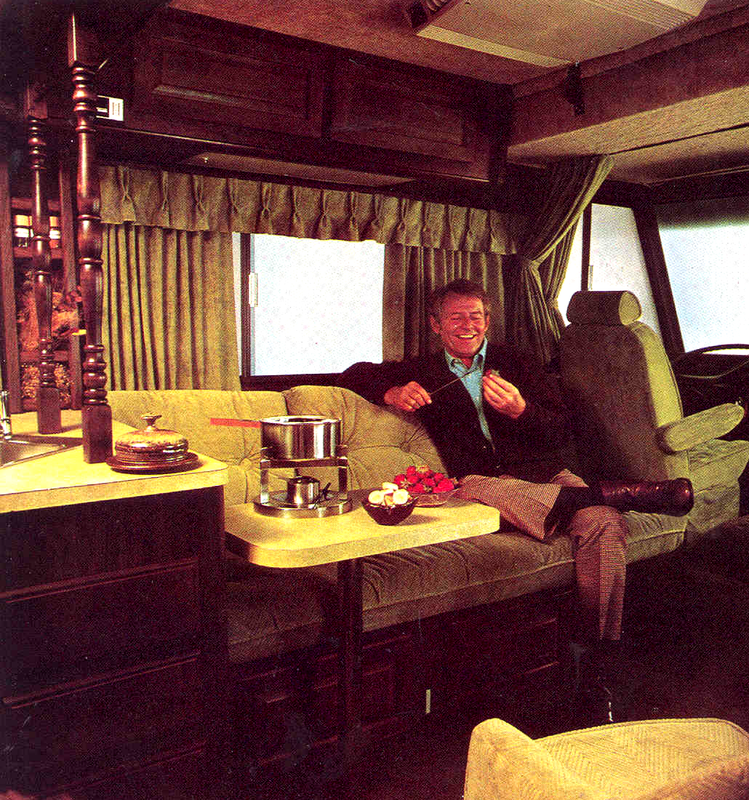 The tables are set in this 1977 Winnebago… but where is everybody? I’ve seen The Hills Have Eyes, so I’m a bit concerned. This cheerleader appears to have driven the family motor home straight into the bleachers. She’s smiling because she’s so wasted. Say ‘no’ to drugs, kids. Whenever the wife reached for the dry goods, he became inflamed with desire. 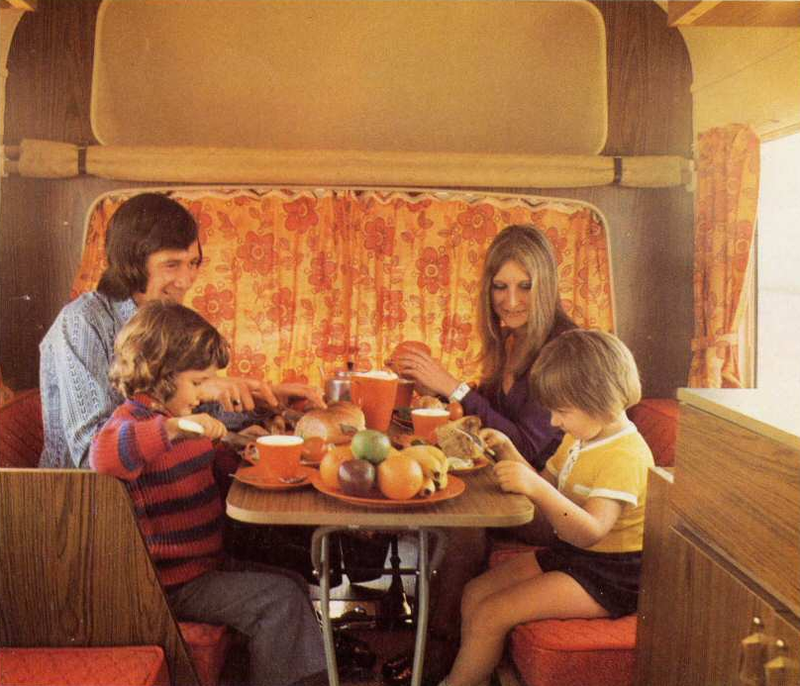 Happiness is fondue in your 1970s Recreational Vehicle.